Most people in Florida love having a car but hate the complicated process of buying one. BuyMeACar in St. Petersburg Florida is an auto broker who works with you to find you the right vehicle for the best price! Whether it be a new or used vehicle. Many who have bought a car in the past have at least one horror story to tell, so we want to make the process of car buying in south Florida as simple as possible. In addition to Florida, BuyMeACar services ALL metropolitan areas in the United States and Canada. 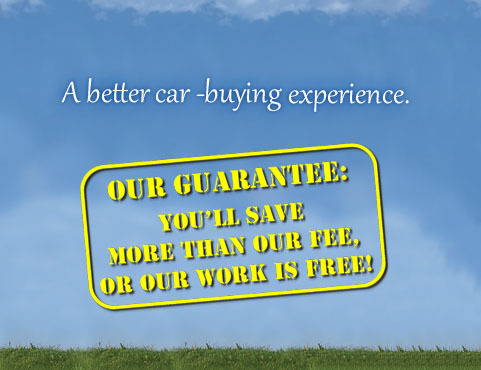 Buymeacar is not your typical auto broker. As an automotive concierge consulting firm we represent our clients only, not the dealers. This ensures that you get the right vehicle, financing and leasing matching your family, business, and lifestyle needs. We use over 30 years dealership experience to secure the best car, truck or suv so you have the best car-buying experience. Call us today. We can help you! Unlike autobrokers, Buymeacar does not take money from car dealers and to ensure that clients get the best financing available we do a credit analysis. BuyMeACar is a car buying service company, with our head office in St. Petersburg, Florida and also representing buyers in Vancouver and Victoria BC in Canada, as well as Calgary, Alberta Canada. We service clients across North America and Canada. We specialize in automotive negotiations for busy consumers and those who love cars but hate shopping for one. We have over 30 years’ experience in sales, financing, leasing, used car purchasing, auctions and sub-prime finance and purchasing. BuyMeACar International is an auto broker consulting firm serving St. Petersburg, Tampa Bay, and Tampa, South Florida. BuyMeACar International is also car buying service and auto broker serving all major Canadian cites such as Vancouver, Victoria, Calgary, Edmonton, Regina, Winnipeg, Toronto, Ottawa, the Maritimes and Newfoundland/Labrador. We are car buying consultants who help with car buying for seniors, luxury car buying, car finding services, platinum car concierge, and car finding services for car buyers in the St. Petersburg, Tampa Bay, Tampa, South Florida areas and North America.